When I was 15 years old, I had just started playing with makeup. I went to school with bright blue eyeshadow and rosy red cheeks… in other words, I had no idea what I was doing. I took my mom’s early 90s makeup palette (she never threw anything away) and her “free with a purchase” lipstick and thought I was pretty cute. I thank my lucky stars there were no phones with cameras in the early 2000s. There are those like me, and then there are those like Zach Dishinger -- a 16 year old high school student building a makeup empire. Zach created Formula Z Cosmetics when he was 15! Let me repeat that… FIFTEEN! He realized his love for theater was due to how transforming stage makeup could be for an actor. 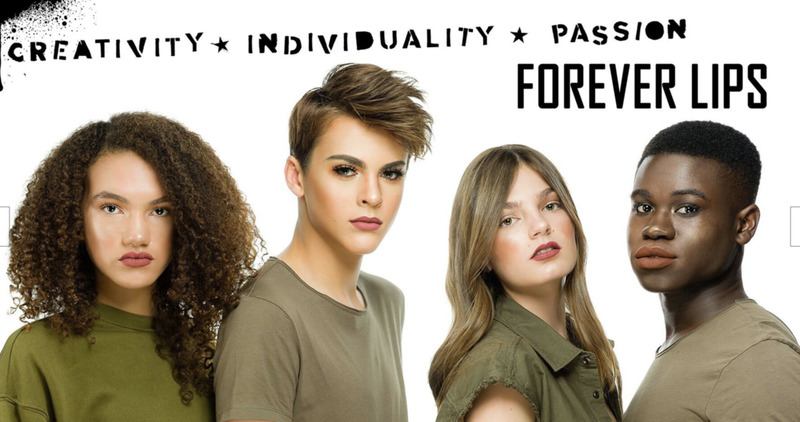 Zach doesn’t just come up with the colors or concepts for Forever Lips by Formula Z Cosmetics, he is part of every single step from the design, formulation, packaging, and creative elements to the photo shoots. Zach’s work wasn’t complete when he created Formula Z Cosmetics, he wanted to do something that would make a difference. Formula Z teamed up with The Trevor Project, the leading national organization providing crisis intervention and suicide prevention to LGBTQ youth. This is the first time the organization has partnered with a brand led by an LGBTQ teen. Zach isn’t shy when it comes to standing up for what he believes in and expressing his true self. June is Gay Pride Month, making it the perfect time to support an incredible organization. Zach created a soft chestnut mauve semi-matte liquid lipstick shade called Mission Z. For every Mission Z lipstick sold, Formula Z donates 50 percent of net proceeds to The Trevor Project. All Formula Z Cosmetics are 100 percent cruelty free, paraben free, gluten free, and vegan. Zach’s style is eye-catching, bold, and 100 percent beautiful. His glitz shoes did match his eyeshadow at homecoming... that takes talent! However, he's had his struggles in school but hasn’t let the negativity deter him from his passion. Formula Z’s Forever Lips took 2 years to perfect. Zach says he spent the time trying to develop a collection of shades for everyone, regardless of race, age, sexual orientation, or gender. My favorite Forever Lips shades are Bowie and Jocelyn, and of course, Mission Z! Formula Z is continuing to grow and spreading the message of equality and acceptance. You can find Zach with all his glam in New York on June 11 for The Trevor Project’s Trevor Live event and at BeautyCon in Los Angeles this summer. Zach is still in high school but has big plans for college. He is planning on studying business with a minor in cinematography or broadcast journalism. Something tells me he will achieve all his goals!